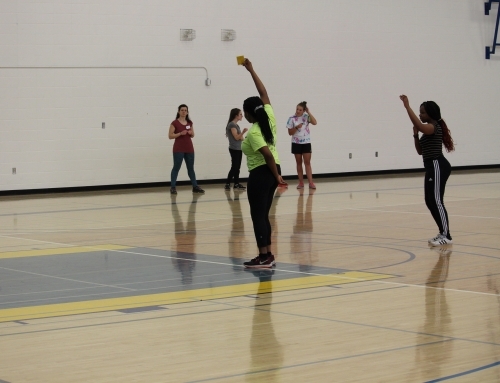 (April 12, 2018) The annual Mini Stars Showcase wrapped up another successful winter program this past weekend in Edmonton, welcoming over 150 players from across the province to the Garisson Military and Fitness Centre. 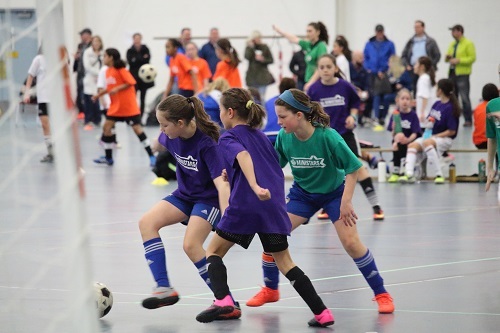 The Mini Stars program, which boasts that “mistakes are part of our success” is meant for players aged 9-12 and focuses on skill development outside of a traditional team environment. 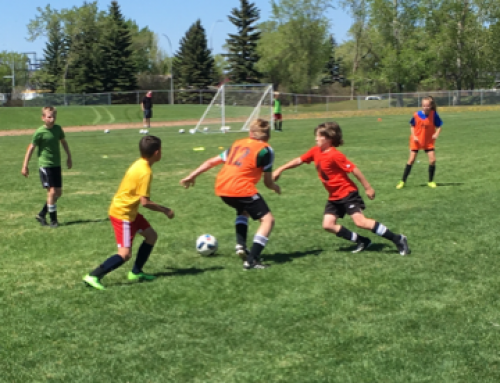 Many players who have participated in the Mini Stars program over the past five years have eventually gone on to play for Alberta Soccer’s Provincial Team Program and beyond. This past year, over 330 players were registered for the winter program which consisted of 10 sessions led by Provincial C Licensed coaches. Eight district communities ran the program including Calgary, Camrose, Cochrane, Edmonton, Grande Prairie, Lakeland, Medicine Hat and Red Deer. 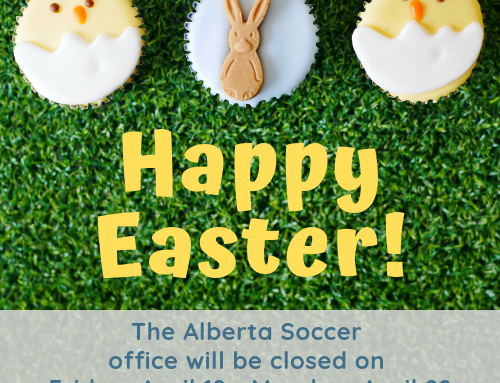 The Showcase itself provides an opportunity for the players to take part in skill stations led by FC Edmonton’s REX and Academy players and show off the skills they have learned all winter in small sided games. The event also features guest speakers every year to speak about a range of topics to both the players and parents that attend. This year, Sheena Dickson, a FIFA level Referee based in Edmonton spoke about her pathway from grassroots to FIFA. Sheena’s quick ascension to the FIFA level, her opportunity to travel the world to officiate games, her tough training regimen and her mindset towards reffing fair and safe games were all topics of interest to the Mini Stars and their parents. It gave the young players an opportunity to acknowledge that there is a third team, the referees, on the field with each game they play. 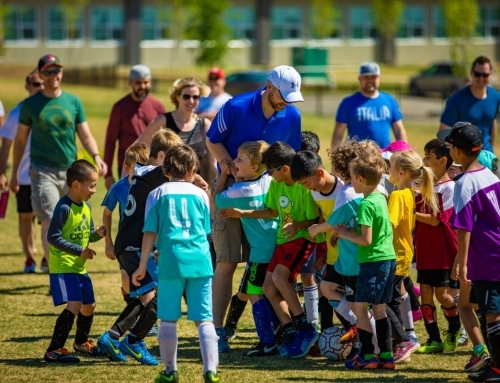 Alberta Soccer’s Manager of Grassroots Development, John Clubb, has been leading the way for the Mini Stars program each year as it has expanded to centres outside of the city and into different seasons with a fall and spring program now available for young players. 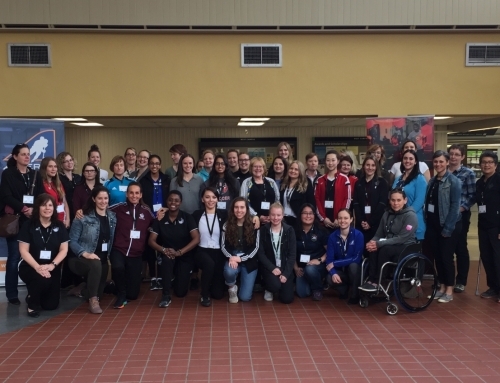 “This was another great event with so much promising talent on display from across Alberta. The event, for the first time, mixed the genders together and this format drew favourable support from both the players and parents with strong displays for children playing and competing at the highest level,” stated John. Next up for the Mini Stars is the annual Residential Camp held in Red Deer over the long weekend in May. It mimics a Provincial Team Program training environment and is open to current members of the Mini Stars program. For more information on the camp and to register, please click here.